If you've been meaning to try a new restaurant, are tired of cooking this week and need a night out or are looking for an excuse to get together with friends without breaking the bank, I've got a great site for you! To follow the theme of our last post on saving money and getting more out of life this year, I wanted to share Restaurant.com, which is a website that offers gift certificates for say $25 and you only pay $2-10 for them. So, this means you can enjoy a wonderful meal for a huge discount! Each month the discounts change but this one is a great steal at just $2 for a $25 gift certificate and it is good until the end 01/31/2010.The gift certificates themselves last for 1 year. I have one that I purchased last year and I'll be using it tomorrow so that my husband and I can try a new restaurant out for dinner. Be sure to use the promotion code 'BONUS'. STOCK UP at this price, the certificates RARELY go any cheaper than this! Restaurant.com is a fabuLESS way to try new restaurants-- or to frequent an old favorite. Use them while traveling or for date night! Some of the restaurants have restrictions, all of which are clearly marked--i.e. must spend $35 and/or the gift certificates can only be used certain days-- but as long as you can live with the restrictions, go for it! Restaurant.com gift certificates are instantly available and printable, and are valid for a year-- and, yes, they really DO work! Don't forget to use EBATES and get some cash back too! If you haven't signed up yet, sign up HERE. Some of you probably already know that I am a bit of a coupon queen and I get a thrill out of saving money and fabulous free finds. Many of you voted on our blog poll and asked for more money saving tips, among other topics. So, I wanted to share some quick and easy tips to keep and put money back into your wallets this year! Over the past year alone, I've saved hundreds of dollars on groceries, clothing and I've received 10 free magazine subscriptions (some full and some partial) and have also received a lot of free goodies by using rewards cards/points and filling out free product mailers too. It ALL adds up! Now here is how you can do it too. 1. Sign up for EBATES today!- What is ebates? It's a simple website that you log into first before selecting the online retailer you want to shop at. You'll be automatically directed to the site from ebates and will receive a percentage of your purchase amount back just for logging in there first! They make money on referring you over to the site and then give you a kickback, so it is legitimate and the best kept secret! You can save anywhere from 1% to 21% of your purchases! You can also earn $5 for each qualifying person that you refer to the program. I don't spend a lot of money online but we do buy our vitamins, some rental car reservations, some flights, clothing, and other necessities. Every cash back amount helps to add to the greater total. This is FREE money, no sign-up fees are involved and it takes me an extra 10 seconds more than it would to log into the retailers site directly. It's SO worth it and I found it at the referral of a fellow coupon queen! I signed up in mid-2009 and have already made back $36! Hubby has his own account and has earned $25. What a great way to set aside that free money to use for this year's Christmas gifts or towards a vacation! 2. My FAVORITE Website- I have a favorite website, it's true. It's not for home decor or clothing but rather vitamins, supplements and personal care items. The website is Vitacost. They beat amazon.com and every individual retailer or store front on price and shipping costs. 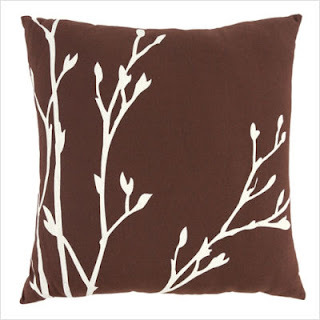 You can save up to 78% off of items that you use everyday! Their shipping is a flat rate $4.99 and they often have free shipping specials or you can find coupon codes online for free shipping, free prevention magazine subscriptions or other great goodies. They ship most items in just a couple days and I've never had a problem with their service or products. They also offer a money back guarantee, are a completely secure site and are on the Inc 500 hall of fame. Check them out HERE. The best part is they are listed as one of the stores under ebates so you can get 5% cash back on your purchase too! * I am not compensated in any way for recommending Vitacost. 3. Print Online Coupons- There are so many websites with great coupons to be had. Some may think, why waste my time coupon clipping? Well, when you can save 40-50% off of your grocery bill by piling a manufacturer's coupon on top of a store coupon on an already on-sale item, it makes for a sweet deal and a lot more money in your bank account for something wonderful. Below are a few of my favorite coupon websites. *For a specific store or item, just type it into google and then add 'coupons' to the end of it and you'll see websites with free coupons for organic products, brand name items, etc. Use a small expandable file folder to store your coupons. You can file them by store or by item category. I always categorize and place the ones that will expire soon at the front. Be sure to look at the store's flyer before heading over so you can get organized before you go. 4. Redeem Rewards Points- There are so many rewards points clubs available via credit card companies and air miles providers as well as valued customer points for free merchandise. The great part is they all equate to free stuff or in many cases free money. My husband and I love to travel and have been on several trips (many were international) on airmiles from all of the points that he has collected over the years. It's a great feeling to get ready for a trip and know that the airfare is already covered. Likewise, there are other programs that provide valuable rewards for your patronage too. My credit card and debit card are tied together in a rewards points program so that every dollar I spend equates to points. I have already scored $75 worth of Target giftcards as well as a $10 Starbucks giftcard too, just for spending money that I was going to spend anyhow. It just encourages me to use that particular bank account and credit card for my purchases instead of the others. Check out your bank and credit card company's offerings. Perhaps it is as simple as switching from one type of account to another. Just be sure that you are not paying a fee or premium or higher percentage for such a program, otherwise it would outweigh the benefits. Last week, I discovered a fun points program to get free organic food. 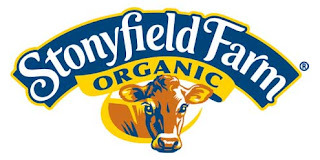 If you like Organic milk and yogurt, Stoneyfield Farms has a program running until the end of March. They give you a specific points allotment for every code off of the lid you enter in which translates to free products like organic chocolate, baby products and even books. Point redemption starts at just 25 points and many items provide 4pts each! I just purchased a couple items and already have 7pts, I know the next 18 pts will come quickly because we eat a lot of yogurt. 5. Pay As You Go- My husband and I went from spending $75 per month for our combined cell phone bill to spending only $8 each per month, that's a savings of over $700 per year! How did we do it? 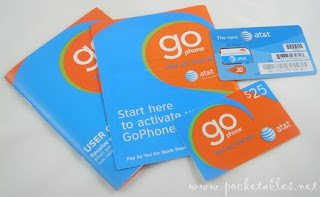 We traded in our AT&T family plan with roll over minutes (that we never used) to a pay as you go plan called Go Phone with AT&T. It took us about a month to adjust to the plan but it was well worth it. We spend less time talking while driving (well actually neither of us talks on the phone while driving anymore) and we do not need a texting plan. Let's face it, we all got along fine before the ability to 'text' became available. I check my voicemail from our home phone so it's free and we only use them for emergencies, when meeting a friend or when lost and needing direction. You can add minutes as often or as little as you like and the purchased blocks of minutes last about 3 months which is perfect for us. I thought it was drastic when we first did it and it was uncomfortable for a few weeks but I'm so glad that the money we are saving is going towards a trip and not to a telecommunications provider. It also lets me be more productive by not spending time on the phone. An alternative to this is to eliminate a land line in your home and exclusively use your cell phone to save over $40 per month! 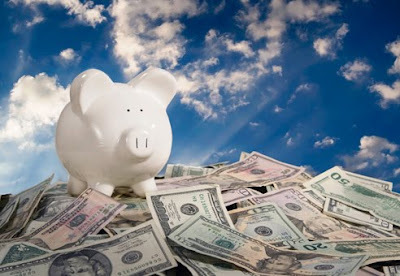 What is your favorite tip for saving money? It doesn't have to be one listed above. Do you have a favorite coupon website or a unique way that you and your family cut costs? Leave a comment, we'd love to hear from you! 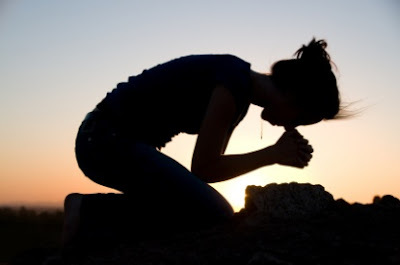 Although I often pray for my blog readers, both those that have asked for it via email or those that have left a comment leading me to pray for them privately, today I felt led to pray for ALL of you, my blog readers. I want you to know that even when you feel forgotten about, are having a frustrating or defeating day or feel as though you are not loved, you are. You are thought about, your are prayed for and the best is prayed for you. After recently reading about several deaths in the blogosphere and also having come across similar posts this morning, just after I posted THIS POST two days ago, I am convinced people are not only seeking God but want to change, they want MORE out of life, they desire to be fulfilled and filled with joy. They do not want more stuff, they want more joy, more quality time with their family and friends and more life. Dear Lord, I pray for ALL of my blog readers around the world, that You would fill their hearts with joy-those that know You, those that may not and those that may not even want to know You. I pray that You will fill them with an overwheming feeling of purpose and that they may stretch themselves to become all that YOU have desired for them and all that they desire for themselves. That they may feel a sense of purpose and fulfillment in all that they do. Lord I pray that You would touch each and every one of them in a special, unique and powerful way that lets them know that YOU are with them and that You love them. I pray that You will give strength and courage to those that are suffering, ill or by the side of someone who is very ill or has just passed. I know Lord that you are our greatest comforter and I pray that You will comfort Your people in their greatest times of need. I pray God that You will bless and protect each and every one of them and their famililes' today and in their future days to come. That You will keep them safe and give them the knowledge to desire health over unhealthiness so they can live a long and abundant life. I pray this all in Jesus name. Amen. I truly hope that nobody is offended by this post. I felt led by God to not only pray for you but also let you know via my blog post that I was doing so and what I was praying for. This is not something that I've ever done or felt led to do up until today, and all I could do was obey. Have a blessed and fulfilled day knowing that He knows ALL things and even knew what you were going to do and say today before your day even began. That is the amazing and powerful God that I am blessed to serve. 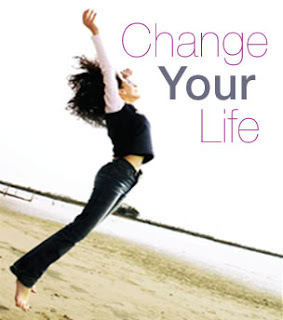 This is your life.....are you who you want to be? This is your life... is it everything you dreamed that it would be? Those lyrics are sung by the band 'Switchfoot' in a song called 'This is your life'. The first time I heard that song it really struck me. I wondered, how many people are living a life where they don't feel they are their authentic self or are trying to be someone they aren't, are not sure who they really are or may not even like themselves let alone love themselves. Then, I thought about my own life.There are so many areas I'm proud of in my life but there are areas of growth, improvement and discipline still to be conquered also. I believe this is the case for most people, otherwise we'd be stagnant, bored and unfulfilled. The truth is that we will never really reach a destination point where we can say, 'Ahhh, okay, I'm here, I've arrived. We are constantly learning and growing and desiring to be our personal best. Sometimes it's easy to get distracted, to take your eyes off the prize when we put too much attention on the lives of others. Maybe you know a couple whose love for one another and life seems picture perfect and you truly long for something that resembles it, a family who apperas to have it all and yet you feel so far away from achieving that yourself, your best friend who shares with you her dream job and a salary to complement it and you're struggling to get by. You may be left wondering what special and exciting things are meant for you? Ask yourself this question- Am I living each day with intention? Purpose? Joy? Passion? With the joys of life, also come the mundane daily errands and tasks. Often times we only see the special, happy moments in others' lives but the frustrating, maddening, boring or heartbreaking ones in our own. We must reflect on the wonderful experiences and opportunities that we have had. We are all unique and are given different gifts and opportunities, we must be willing to make the most of them. Now, ask yourself these 3 question? What do I really want to do with my life that will fill me with joy? What will be my legacy? How do I want to be remembered one day by those that love me? Maybe your goal is as simple as bringing joy into the lives of everyone you meet on a daily basis, perhaps you want to be a world traveler and author who leaves a legacy of books behind, like I do, for future generations. You may even dream of being a fulfilled and loving mother and wife, that is a good goal too! We need more loving mothers and wives on this planet, that is for sure! Whatever your goal, desire or passion is, attempt to live that out each day. Never let fear hold you back from being the very best possible version of YOU. Just this week I received a call about a new opportunity that was bigger and grander than others I've worked on in the past. I committed myself to the project and look forward to the new challenges. However, after I got off of the phone, I felt excited then immediately felt fearful. I started thinking about all the things she may want me to do that would be new and perhaps a little scary. It's easy to stay where we're at in life, but we need to press in daily and break forth into new opportunities, new assignments that may feel uncomfortable at the moment but need to be conquered so we will realize how gifted and accomplished we actually are. Have a blessed day and live your dreams! Before you move onto the next post thinking I'm teasing you with the title, I am not. If you are in need of a new mattress, you'll want to read this post to learn where you can enter to win your new mattress this new year! I have a little problem....with my mattress. I don't usually like to talk about it, some of my friends know about it and I'm hoping to solve it VERY soon. It's actually very embarassing. My husband and I married in Sept '06 and when we came back from our honeymoon after a long 20 hour flight home from Sydney, Australia all I wanted to do was hop into OUR bed and get a good night's sleep. I was so tired that night that I did indeed fall asleep but what I didn't know was that I was going to wake up every few hours because the mattress felt like it was digging into me. This was my first time sleeping in my now hubby's bed. (Before getting married, I lived in Toronto and we did not live together so I had no clue what I was in for) The next morning I woke up feeling stiff, sore and in need of a good stretch! After several more nights sleeping on that mattress I knew it wasn't me-it was the MATTRESS! So began trips to the chiropractor, daily stretching and many nights of frustrating sleep. Fast forward to January 2010. That darn mattress is still around and although it hasn't gotten anymore comfortable, I got a little more creative. I started sleeping in the guest room. I know, great for a newlyweds' relationship, right? My sleep was starting to affect my day and I had to take action. The guest bed is actually really comfortable. Hubby likes a firm mattress. I apparently like what he so lovingly refers to as a 'marshmallow bed'. LOL. So continues the mattress saga. He paid "good money", a couple thousand dollars to be exact for the king size one we have now in our master bedroom so he is hesitant to part with it as he sees it as a waste of money and the mattress was purchased just two years before we married. I see his point and he sees mine but we still haven't moved forward. I have looked at eco-friendly mattresses, regular mattresses and we have even tested out the much recommended sleep number bed, however it just wasn't comfortable for us. We even tried calling the hotel we stayed at in Sydney because it was THE most comfortable mattress either of us has ever slept on, but to no avail since the names of the mattresses are marketed differently in each country. So, here we are 3 years later. I take turns sleeping in our bed and then getting up in the middle of the night and moving to the guest bedroom, sometimes hubby tries to sleep with me in the guest room but it's a double/full size bed and I'm pretty tall so it just doesn't seem to work out. We have had the money but then property taxes have rolled around or we've taken a vacation instead to keep our sanity from the trials of daily life working as entrepreneurs. Hmmm- Cruise or Mattress? That's a hard choice! Because we already have the guest room option we haven't made it the priority that we really need to. For those of your wondering, despite all of this I have a wonderful, loving and supportive husband and we have a great relationship. I am confident however, that a new mattress would allow us to get even more cozy together. We also plan to start a family in the somewhat near future and a baby's room would take over the guest room, so bye bye guest bed. Yesterday I found a great chance to potentially get one and for FREE. I'm really hoping to win the 'New Mattress Giveaway' over at BizzieMommy! You can find her blog button in my sidebar. Thanks for reading my 'embarrassing' story. Now, for YOUR chance to win a new mattress and tell your story, be sure to click HERE to enter. Contest ends Feb.5,2010! Once again, a huge THANK YOU to our sponsor, Allmodern.com! They are one of over 200 stores under the umbrella of CSNstores.com that offer everything from bar stool(s) to designer baby gear. Check them out for your next online shopping adventure! I headed over to random.org and our lucky WINNER is Michele P. of Creative Writings 101! 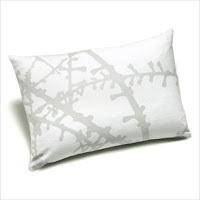 Congratulations and enjoy your new All Modern accent pillow! I will be contacting you shortly so you can provide me with your shipping information. 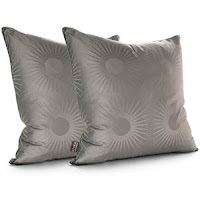 "You sure are right, they have a ton of nice pillows! 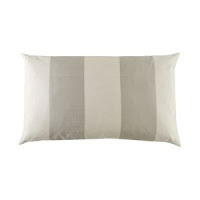 I like the Plush Living Clematis Silk Pillow in Black and White, because it would go in my bedroom (where I want to put it) but also match with just about every other room in my house. 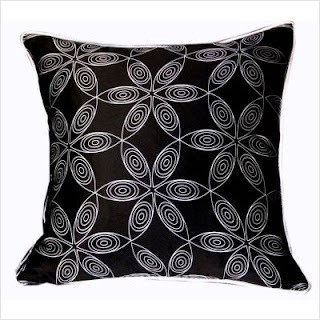 I also like the classy design and print." Stay tuned for another great giveaway here in February! Later today you can check back for our next post which shares the details on a chance to win an awesome & huge prize as well as an embarrassing personal story. Did you know that there are literally 1001 uses for the plain old white distilled vinegar that you have in your pantry? From cooking and cleaning to caring for your pet, there are so many reasons to use eco-friendly and inexpensive vinegar. I'm always looking for new ways to use something I already have. I love it even more when it allows me to replace toxic everyday products with something that is better for my family and our planet. Here are some great tips and some additional links for the many vinegar uses. 1. Make nail polish last longer. Wipe fingernails with cotton balls dipped in white distilled vinegar before putting on nail polish. 2. Keep a cat out of a garden area- Place a paper, a cloth, or sponge there that has been soaked in white distilled vinegar. 3. Get cleaner laundry! Add about 1/4 cup white distilled vinegar to the last rinse. The acid in white distilled vinegar is too mild to harm fabrics, yet strong enough to dissolve the alkalies in soaps and detergents. Besides removing soap, white distilled vinegar prevents yellowing, acts as a fabric softener and static cling reducer, and attacks mold and mildew. * This is my favorite use and a great way to avoid toxic fabric softeners (unless they are pure, natural and eco-friendly brands, they are toxic to lungs and skin. I promise your laundry won't smell like pickles! 4. Deodorize and clean the garbage disposal- Make vinegar ice cubes them by freezing full-strength white distilled vinegar in an ice cube tray. Run several cubes down the disposal while flushing with cold water. 5. Get decals off walls or doors-Let undiluted white distilled vinegar soak into them for several minutes before trying to peel them off. Repeat if necessary. 6. To clean and disinfect baby toys- Add a good-sized splash of white distilled vinegar to soapy water. You can also clean vinyl baby books or board books by wiping with white distilled vinegar. Wipe clean with a damp sponge or cloth. 7. Loosen chewing gum stuck to carpeting or upholstery- Do this by soaking it in white distilled vinegar. 8. Make onion odors disappear from your hands- Rub them with white distilled vinegar. 9. If you’ve added too much salt to a recipe- add a spoonful of white distilled vinegar and sugar to try correcting the taste. 10. To Keep Boiled Eggs from Cracking while Cooking- Add a tablespoon or two of white distilled vinegar to water. 11. Remove Baked-on food from your Microwave- Place a mug with 1/4 cup vinegar and 1/4 cup water in the microwave for 90 seconds. Once done leave it in the microwave as the acid and vapors will help remove the baked-on food. Now you can clean it with ease. 12. 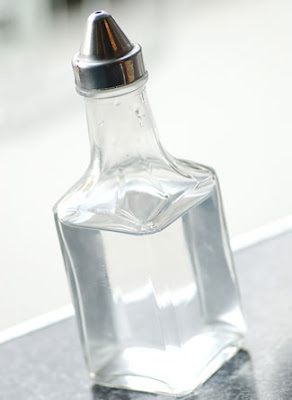 Use Vinegar as a Dishwasher rinse aid- Instead of high priced rinse aid, you can fill up your rinse aid container with vinegar. It does an amazing job of making dishes sparkle. You can also pour a little inside the dishwasher before it begin to help create vapor to remove stubborn baked-on food. It can also be used between loads to keep the dishwasher smelling fresh. I go through quite a lot of white vinegar in our home for cleaning vs. cooking. I like to spray it in the shower area and on the shower curtain liner to keep mildew and hard water stains away. I love it for the dishwasher, especially at the beginning of a load along with my eco-friendly Method dishwasher tabs and I never experience baked-on food. Nothing rinses floors better than white vinegar and water, it leaves them clean and shiny. My favorite usage as listed above is in the clothes washer. It really does keep soaps from dulling dark clothing, it helps lighten whites and makes all my clothing and towels fluffier without the need for harsh chemicals. My clothing, towels and sheets NEVER smell like vinegar afterwards. I've also used it many times to make perfect boiled eggs. By the way, I prefer not to cook with white vinegar (or buy products with that as an ingredient) as it makes your body more acidic when consumed, which isn't good from a health perspective. However, apple cider vinegar (Bragg brand is my favorite) helps restore the pH in your body and provides many wonderful health benefits like eliminating arthritis, curing skin conditions like acne, aiding in weight loss, strengthening the immune system, preventing urinary infections and the list goes on. HERE is a whole site dedicated to just that! For many more vinegar tips for health, pets, cooking, cleaning, laundry and gardening, click HERE. It's my favorite site for vinegar tips and tricks! Here is another website for your reference also. Check out our spring cleaning post on natural cleaning ingredients that make everything sparkle without polluting your home! What is YOUR favorite use for white vinegar? How did you discover it? Good Morning! 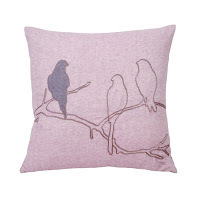 This is just a quick reminder that today is our LAST day for entering our fabulous 'Pretty Pillow GIVEAWAY'. It ends at midnight (EST) so enter for your chance to win! As women, we are expected (and put a lot of pressure on ourselves) to do many things well. Some things come easier than others and often times a crash-course here or there is all that one needs to acquire the extra skills. Maybe you'd love know how to make the perfect bed? Perhaps you wish you could arrange flowers like the pros or you may just be wondering how to break open and enjoy a delicious lobster. 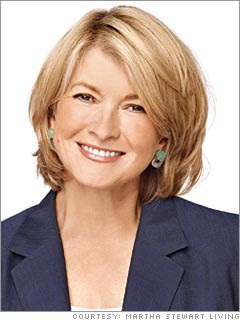 According to Martha Stewart, there are 30 things that everyone should know. Since this blog's audience is women-only, I changed the post title accordingly. 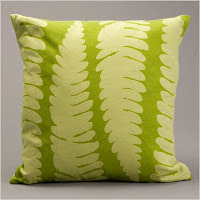 I thought I'd post my favorite 5 for you and you can check out the other 25 on Martha's website. I love lists like this, they force me to brush up on my skills. I hope you will find them equally beneficial. :) *All how-to content below from MarthaStewart.com. 1. Make a Bed- Begin with a good-quality mattress and box spring. 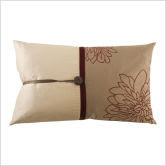 Protect the mattress with a cotton cover; Martha adds a wool pad. Unless you're using a fitted sheet, make hospital corners with the bottom sheet, starting at the bed's head: Drape the sheet evenly over the bed, leaving about 1 foot of fabric hanging beyond the head. 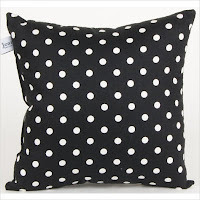 Stand beside the bed, toward its center, and pick up a side hem. Pull the hem toward you into a taut crease, then raise the creased section over the mattress so the sheet makes a triangular tent over the bed. 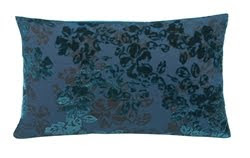 With your other hand, smooth the sheet flat along the mattress's side. Then fold the creased section down over the side, and tuck the sheet snugly under the mattress. Repeat the process at the foot and other side of the bed. Add the top sheet, and make hospital corners at the bed's foot. Leave the sides untucked for easier sleeping. 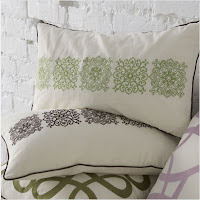 Finish with a blanket, quilt, or down comforter. 2. 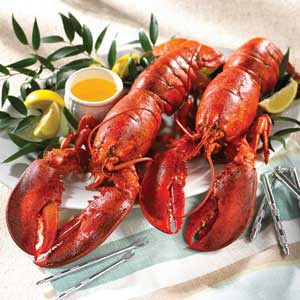 Eat a Lobster- To get the most meat with the least effort, have nutcrackers and small forks or picks on hand. (Get even more out of your lobster by using a rolling pin to ease the meat out of each of the eight legs. Apply pressure from tip to base.) Some people enjoy the green liver, or tomalley, from the lobster's carapace, or body; mix it with lemon juice or butter and spread it on crackers. Remove lobster from pot with tongs; let cool. If you like, snip the tips of claws and let liquid drain out. Remove rubber bands. Twist claws with their knuckles from the body. Separate knuckles from claws. Crack knuckles open; remove meat. Grasp "thumb" and bend it back to snap it off. Crack claw in half; remove meat. Pull off legs. Twist tail from the joint where it meets the body. Pull off tail fins. Bend tail backward to crack off end of shell. Use your fingers to push tail meat out opposite side; remove with fork. * Click the link for Step-by-Step photos on how to eat a lobster. 3. Arrange Flowers- Flower arranging is an art, but the art is easy to master when you follow a few simple techniques. This technique, courtesy of wedding designer Karen Bussen, uses kale, ranunculus, viburnum, and lamb's ear to create an elegant and unforgettable arrangement. Embellish a vase with wide double-satin ribbon. Cut with pinking shears and secure using double-sided tape. Wrap a contrasting narrow ribbon over first ribbon. Secure with a simple knot and clip ends at angles. Fill a vase with water and add floral food; set aside. Start with three to four stalks of kale to create a basic structure. 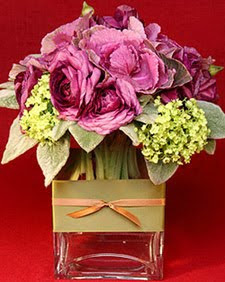 Add clusters of viburnum and ranunculus; secure flowers with rubber band. Create a collar with lamb's ear so it drapes over vase; secure with rubber band. Trim stems short enough to be hidden by ribbon on vase. Place flowers in vase. Remove giblets from the body and neck cavities, and reserve them; you can make Giblet Stock while the turkey is roasting. Rinse the turkey under cool running water, and pat it dry with paper towels. Tuck the wing tips under the body to prevent them from burning. Insert the stuffing just before the turkey goes into the oven; never do it ahead of time. And don't pack it too tightly, as the stuffing won't cook evenly and bacteria may grow; also, don't forget to stuff the neck cavity. Pull the flap of skin at the neck down, and use toothpicks or small metal skewers to fasten it. Pull the legs together loosely, and tie them with kitchen string; a bow will be easy to untie later. Any kind of sturdy white string or twine will do, as long as it's made of cotton, not polyester (which may melt in the oven's heat). Rub the turkey with butter, and season it with salt and pepper. 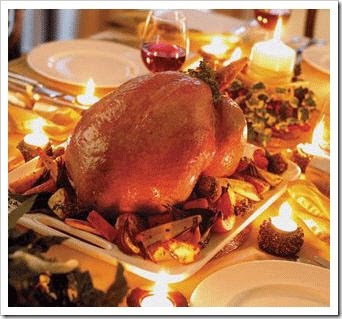 Cover the turkey with cheesecloth that has been soaking in butter and wine; the cloth should cover the breast and part of the leg area. Make sure the cheesecloth never dries out or comes into contact with the inside walls of the oven; in either situation, it may ignite. Every 30 minutes, use a pastry brush (better than a bulb baster) to baste the cheesecloth and exposed area of the turkey with the butter-and-wine mixture. (The turkey pictured here is out of the oven, but basting should be done in the oven and as quickly as possible, so the oven temperature doesn't drop.) Watch the pan juices; if they are in danger of overflowing, spoon them out and reserve them for the gravy. After the fourth hour of cooking, insert an instant-read thermometer into the thickest part of the thigh (if you poke a bone, try again); when the temperature reaches 180 degrees, the bird is ready. Use a thin-bladed, flexible carbon-steel knife to carve the meat into thin slices. 5. 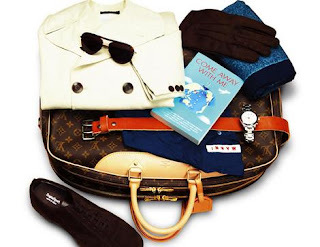 Pack a Suitcase- There are a few ways you can pack efficiently for your next trip. Start by putting your shoes on the bottom of your suitcase. Shoe bags help protect your shoes from the stress of travel. Place jeans on top of the shoes, followed by underwear and socks. Buy several pairs of identical socks; this way, if a single sock gets lost, you'll have another to match. Next, pack sweaters of different weights in large, resealable bags. Shirts and pants go in last; place them inside garment bags (your dry cleaner should be able to supply you with extra bags) and fold them on top of the suitcase. Don't forget to include a sewing repair kit, books, and perhaps a portable stereo, an electronic game, or other entertaining items. If you haven't got a chance to read them, here are some of my previous travel tips which share some great info on how to make your life much easier while preparing for your next trip, and what you should never leave home without. What do YOU believe is one of the most important things a WOMAN should know how to do? Whether it's on this list or not, I'd love to hear what you think! Have you every had a celebrity run-in? Perhaps you were able to score the autograph of a well respected Author, your favorite Movie star or even the president? I got thinking about this after reading a Facebook post from my friend who was in Utah skiing for the week. She ran into Owen Wilson but only wished she had camera on hand. Has that happened to you before? 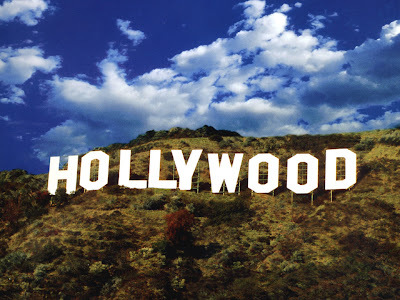 I'm not a celebrity tabloid magazine junkie and I don't get stars in my eyes while in L.A. hoping to run into anyone but if it happens, it happens. I really just see celebrities as entertainers. They are people just like us with similar goals pertaining to family, love and staying fit. They are however out of reach and rare to see which makes such an occasion all the more exciting for those that get the chance. I thought it would be fun to get everyone to leave a comment with who they've spotted and where. Were you an audience member on the Oprah show? Did you bump into a Celebrity on vacation or while Downtown in your own city? I would love to hear your stories. To make it fair, I thought I'd share my story. Six years ago, the day after my birthday, my father and I were hanging out in downtown Toronto's Distillery District. They host a lot of fun events there and have some cute shops and restaurants too. We happened to be grabbing a vegetarian lunch (not my usual fare but it looked yummy nonetheless) when over my dad's shoulder I saw Woody Harrelson. He was doing an interview with a woman about one of his movies. Let me also say that it is not uncommon to bump into movie stars in Toronto. It is such a large city, a mini New York if you will, and since they host the Toronto International Film Festival in September every year it's almost inevitable. Many friends of mine have bumped into Celebrities in cafes, night clubs and even seen them just walking down the street. Okay, back to my story. I walked over to listen to the interview and a few other people had started to a walk over too at this point. I wasn't entirely sure if it was him or not. His interview came to an end and when I realized it was him I asked if he would mind getting a really quick photo since I had my camera on hand and it was my birthday. He smiled, was very sweet and agreed to do so. So, no Brad Pitt or Heidi Klum, but still fun for me. I was surprised that I even still had this picture after all these years, but it was in my miscellaneous folder. Here is our photo together below that my father snapped of us-not my best photo-but here it is. I almost forgot, I used to attend high school with Canadian cutie Ryan Gossling, the lead actor from the popular love story: The Notebook, Fracture, Remember the Titans, Murder by Numbers, etc. At that time he was a star in the making and sat 2 seats behind me in our world religions class. He was actually two grades behind me, but the class could be taken anytime from grade 10-12. He began his career in the Mickey Mouse Club. During highschool he was on various Disney shows and small tv series'. Whenever I see his movies now, it's so funny to think that we were in the same class. He was always very quiet, down to earth, reserved, intelligent and a good student. It's probably no surprise that many girls in his grade had a huge crush on him even back then. 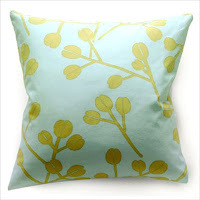 Just a reminder, if you didn't see our last post for a DECOR GIVEAWAY , be sure to click the link and enter for your chance to win a pretty accent pillow! Contest runs for just a few more days. I hope you are all having a fabulous week so far! As promised, today is our first giveaway for 2010. I've got a fantastic prize from the great people over at AllModern, which is just one of CSN Stores' 200+ online retailers. You can find everything from the perfect bar stool(s) to the cutest designer pet beds! 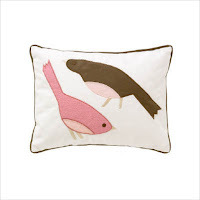 Here's a fun way to get a head start on your spring decorating. 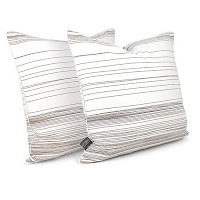 One lucky winner will get to choose an accent pillow worth up to $50! I've listed some of my favorites in that price point below and they have 275 for you to choose from HERE! 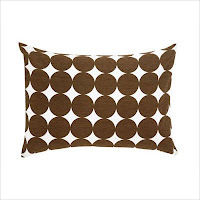 THE PRIZE: One 'All Modern' accent pillow for up to $50 USD value per website pricing. HOW TO ENTER: Add yourself as a follower of this blog OR create a link back to this post from your blog to be eligible. 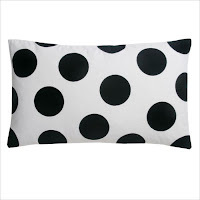 Also, please leave a comment below to tell us which pillow you would choose and where you would use it in your home! RULES: One comment per person please. The winner will be selected using random.org and announced next Thursday! A big THANK YOU goes out to our friends at CSN Stores for offering such a wonderful prize for our first Classy and Fabulous giveaway of the year. 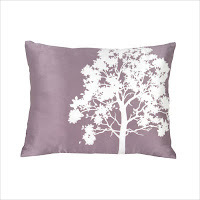 Many more of these great pillows can be found at AllModern where you'll also discover some of their beautiful bedding and luxurious lighting too!